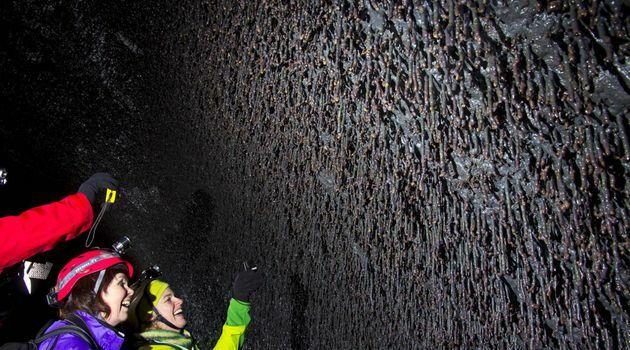 Here is your chance to go on a magical journey deep beneath the glacier and into the Lava Cave. We leave early from Reykjavík and catch the crisp morning, before you know it you suddenly find yourself standing on top of an Ice Cap and about to begin your descent down below the surface to explore what lies beneath. 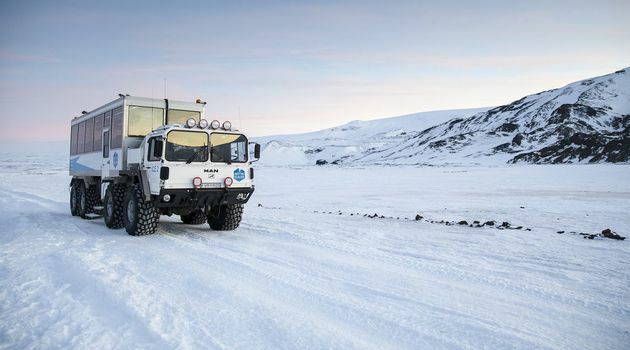 In order to get there we step aboard a huge specially-modified truck and drive up the glacier to the cave. 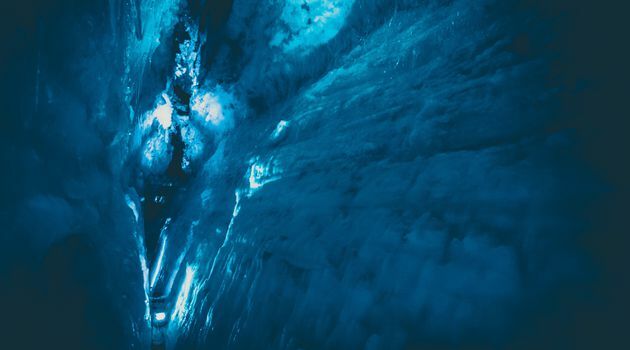 The Ice Tunnel or Ice Cave is a man made glacier cave high up in a remote area in the highlands of Iceland. 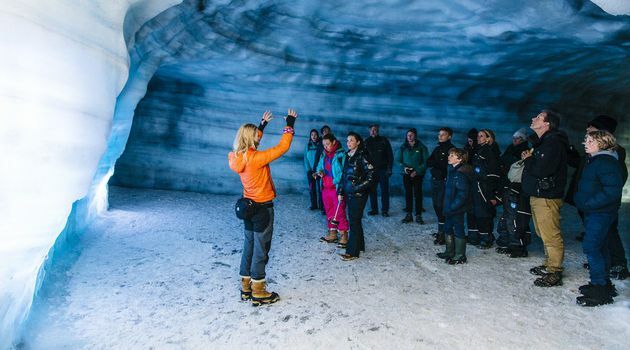 Your guide will explain the formations and movements of glaciers along with how they are constantly changing as they take you on a magical journey deep within the glacier. 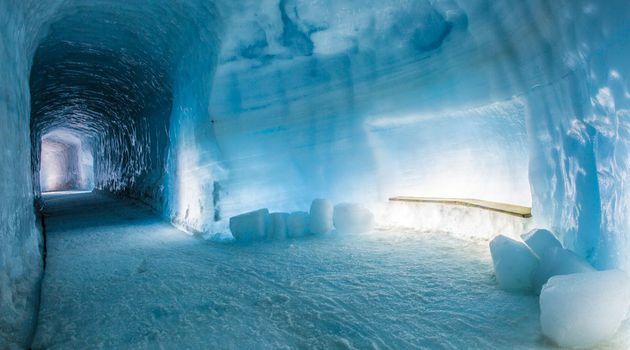 You get to see stunning blue glacier ice and wonderful glacier formations. 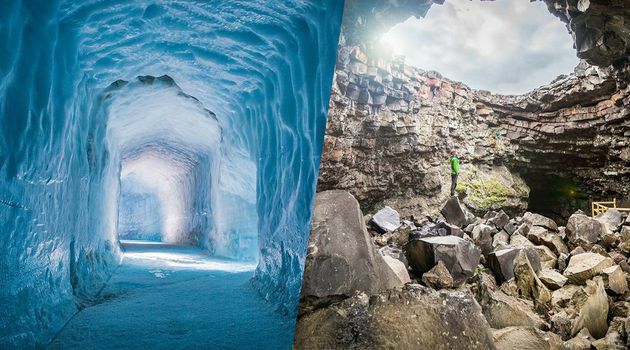 The temperature inside the glacier is usually around zero degrees Celsius or 32 Fahrenheit and until very recently what lay beneath the surface of Langjökull was a mystery. 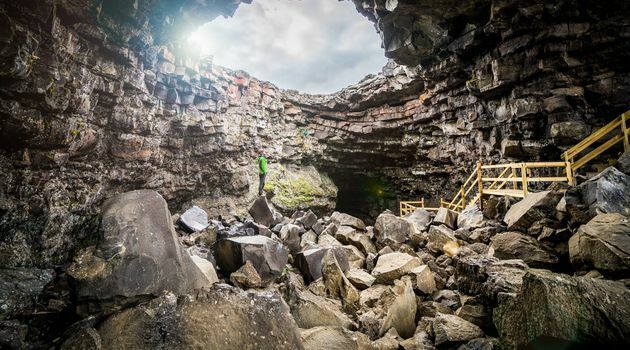 After our ice cave tour we get back on board the glacier truck and head straight to Iceland's mightiest lava cave, Víðgelmir. 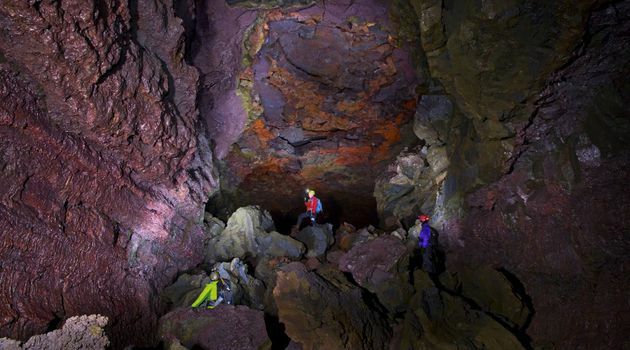 Just shy of 5,250 feet (1,600 meters), Víðgelmir is one of the largest largest lava caves in the world. 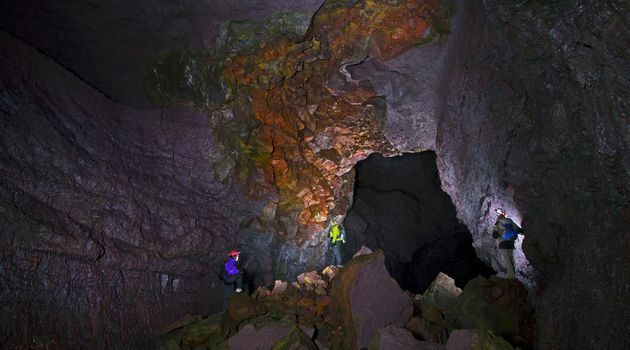 Your guide will show and explain to you the features of the cave, including its colors, lava and ice formations, and stalactites and stalagmites. This tour is very family friendly, thanks to our all new signature walkway and feature lighting. Afterwards we take a scenic route back to Reykjavík. Please note that this tour does not have scheduled lunch time so please bring lunch with you or order packed lunch from us. 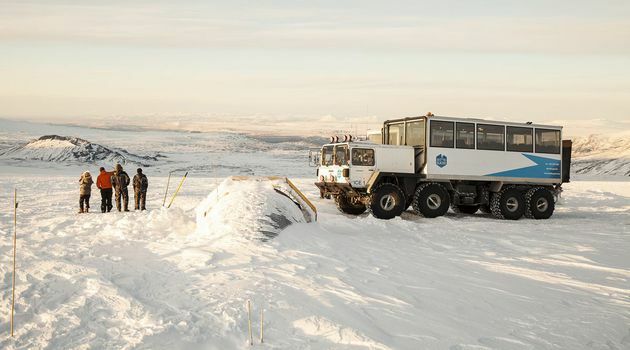 Tour in a specially modified glacier vehicle on Langjökull Glacier. Waterproof one-piece suite and boots if needed. 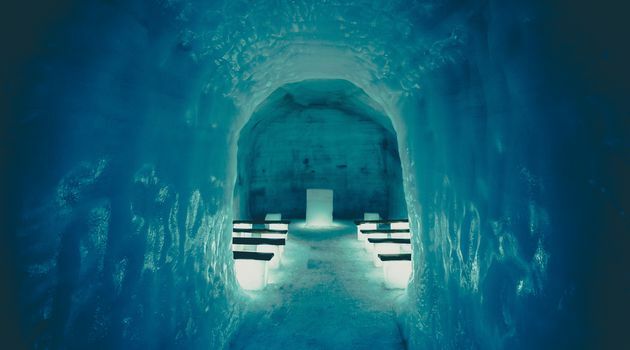 Provided by the Into the Glacier team. 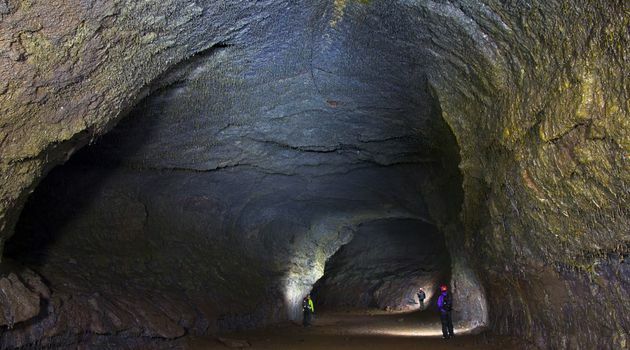 Admission into the Víðgelmir lava cave including helmet and head lamp. 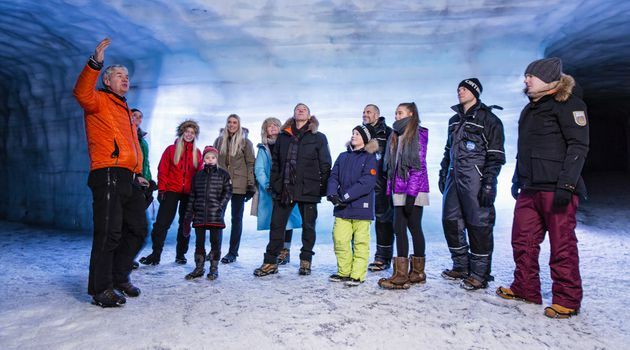 For your comfort: Since you will be entering an ice cave which is at 0° Celsius or 32° Fahrenheit we recommend not only warm clothing, but also waterproof clothing as well. 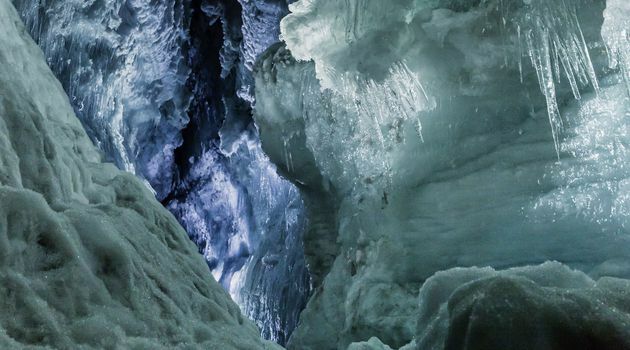 Waterproof jacket and pants, headwear and gloves, and warm socks/waterproof shoes are essential for staying warm and dry during the visit into the ice cave. Lunch: After the trip to the ice cave, you will only have a short break before heading to the lava tunnel so it is a good idea to bring some snacks or lunch for the way. Along the way we try to stop so that you have a chance to buy some food or drink along the way. 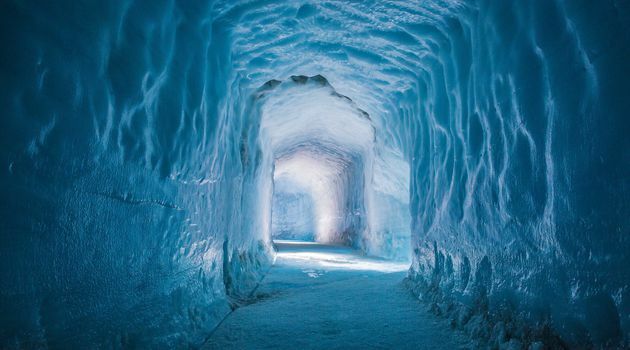 If you have any difficulty walking consider that you will be walking within a ice cave and it will be important to have the right equipment with you that allows you to move comfortable and safely along the uneven and slippery ground.